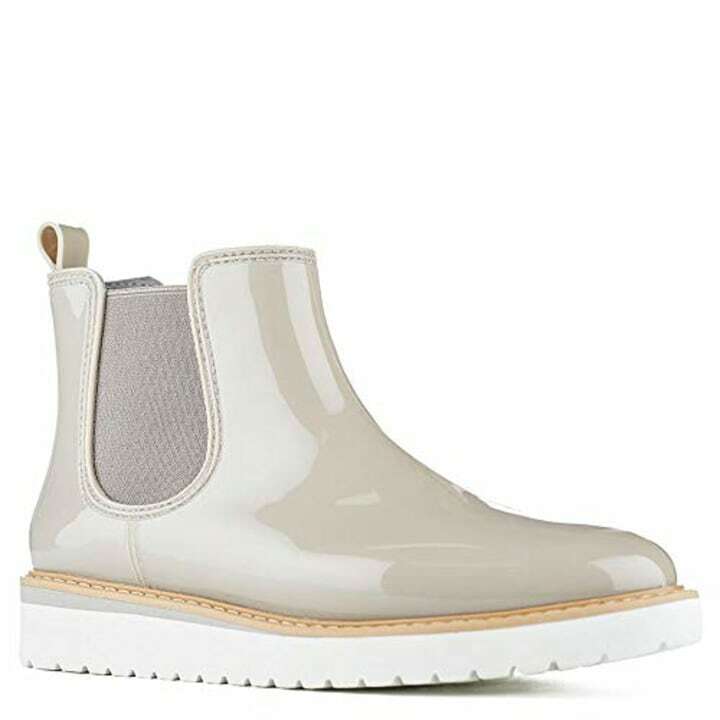 We found an array of functional fashion for rainy days in April, including weatherproof shoes! April showers bring more than May flowers — they also bring a whole host of style challenges. Which shoes should you wear? 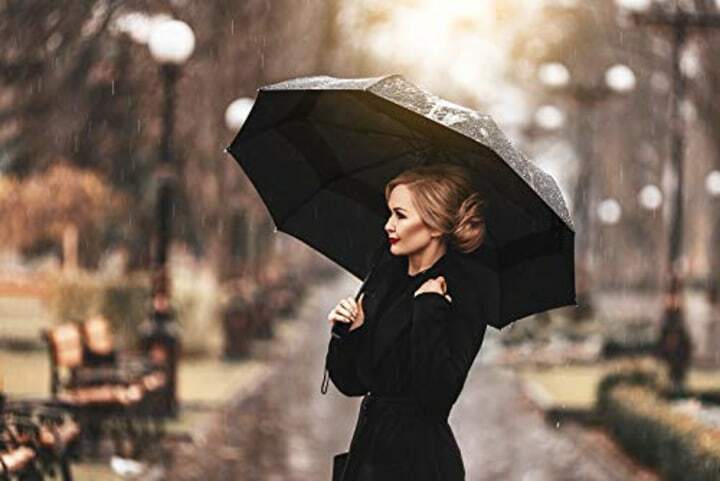 Will your purse be destroyed by the rain? Do you need a raincoat or not? We've got the answers to all those questions. Lori Bergamotto of Good Housekeeping stopped by with an array of functional fashion for rainy days in April. Read on for her recommendations for this month and beyond. 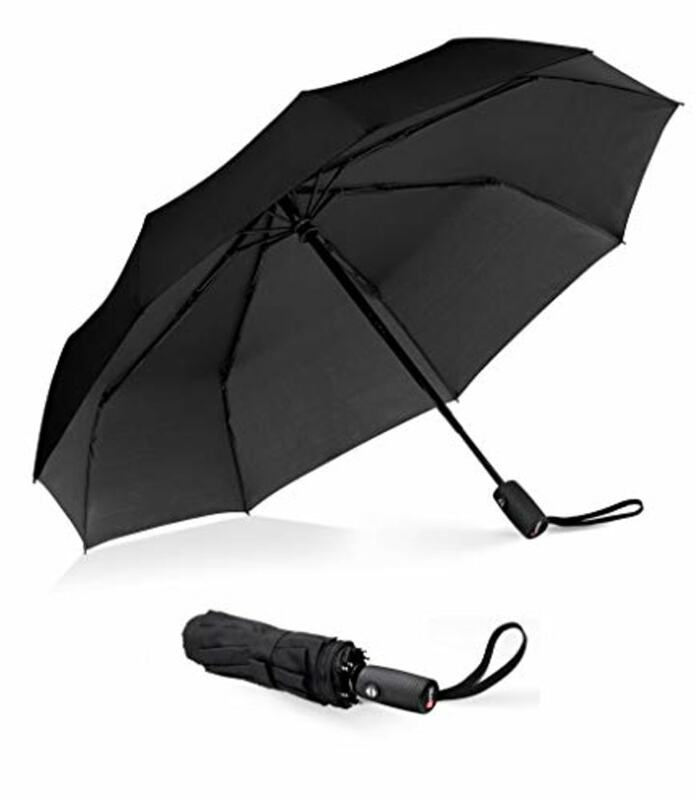 Bergamotto said this umbrella is "the gold standard by which all others are judged when it comes to Amazon reviews" — and we'd have to agree. It opens to a 37-inch circumference and collapses into an easily portable size. 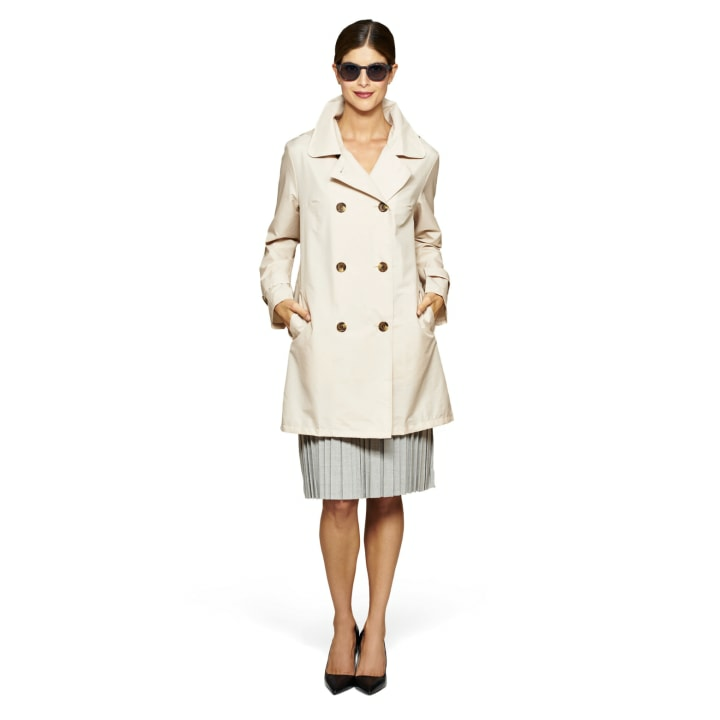 This sophisticated trench coat can be stowed away in its matching tote bag for storage at the office. 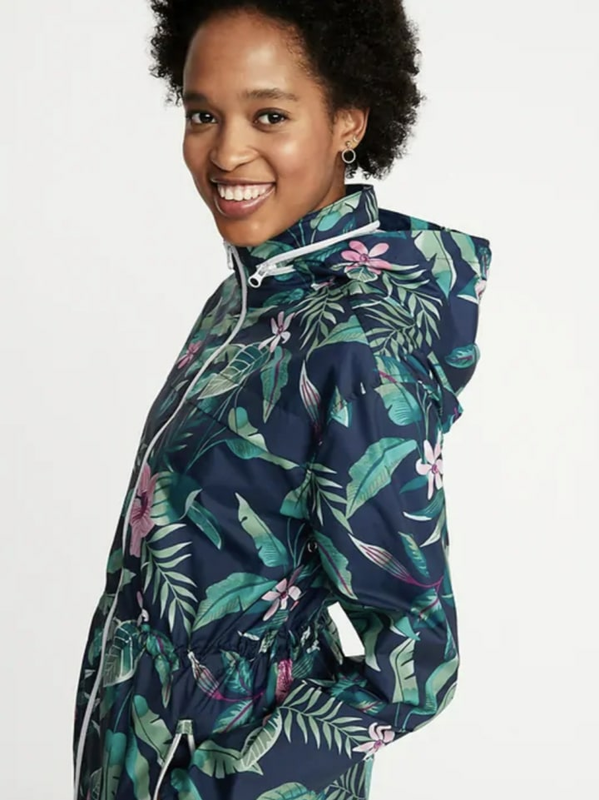 Bergamotto mentioned that there are plenty of packable rain jackets on the market, but this was the first one with real wow factor. Bergamotto picked these ankle boots in a leopard pattern for a pop of print on an otherwise dreary day. 4. 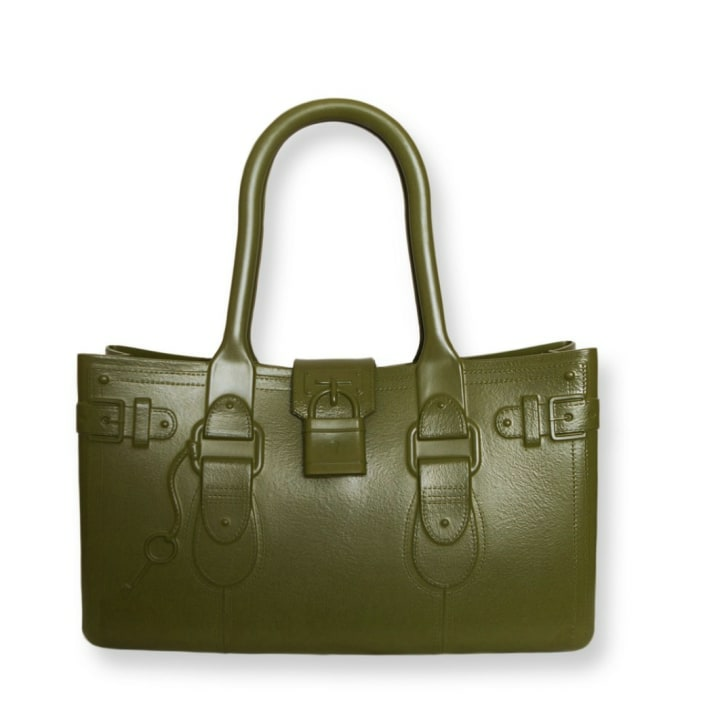 Model M. Peridot Tote, $120, Great Bag Co. This tote bag is perfect for rainy days. "It’s made of a special water-repellant polymer that makes it easy to keep dry and wipe clean," Bergamotto said. 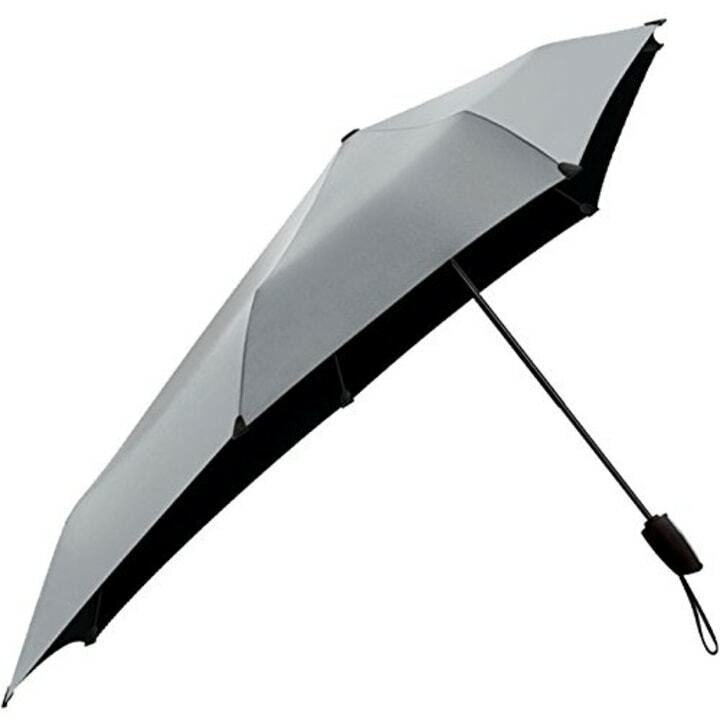 Navigating crowded streets just got easier with this travel umbrella. Rounded edges mean it's less likely to poke a fellow commuter on the sidewalk. It's called the "Perfect" jacket for a reason. Bergamotto pointed out the drawstring waist as a stylish detail that also helps define the jacket's silhouette — a function most rain jackets don't achieve. 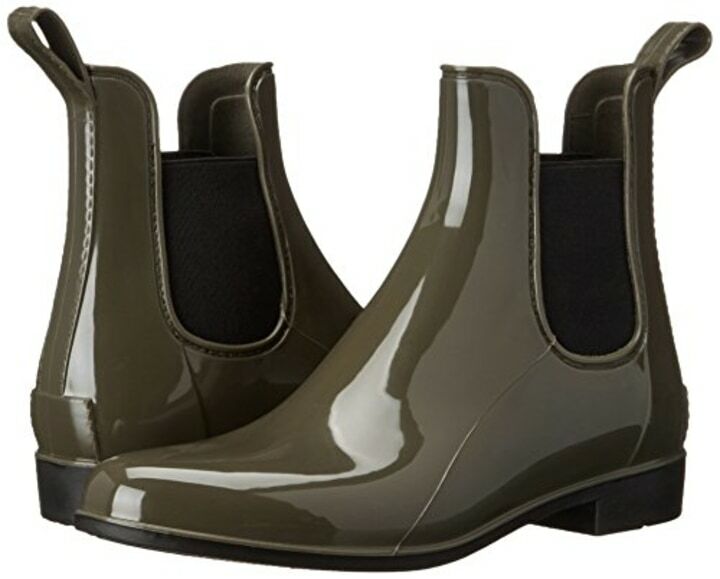 Bergamotto liked these rain boots from Crocs, because they're lightweight and come in fun patterns. 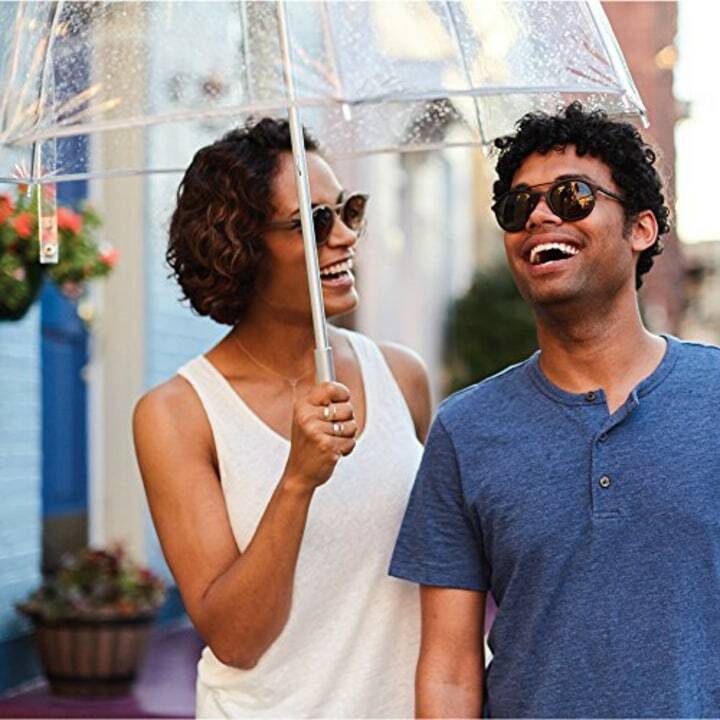 When you're wearing a great rain jacket, you won't want to hide it under a shady umbrella. That's where this clear canopy umbrella comes in handy. Because it's clear, it matches literally anything, according to Bergamotto. 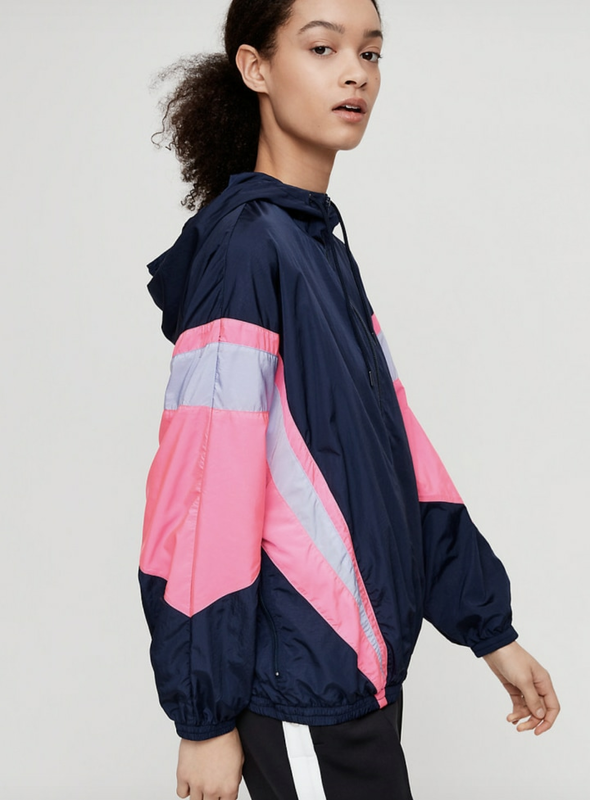 This windbreaker doubles as a rainy day cover-up! The floral pattern also serves as a reminder of the light at the end of the April showers tunnel. 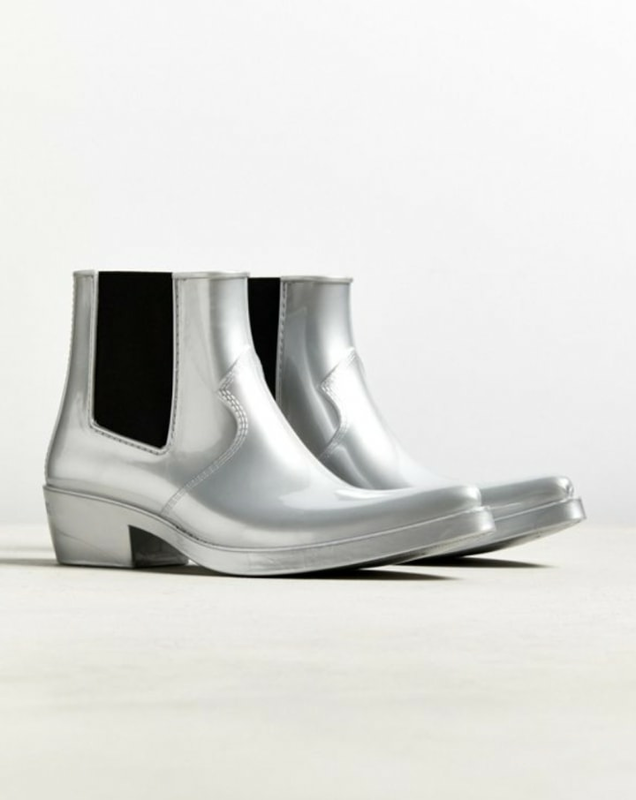 "These Western-influenced boots offer a pointy-toe silhouette in a super-smooth rubber with a slight gleam," Bergamotto said. 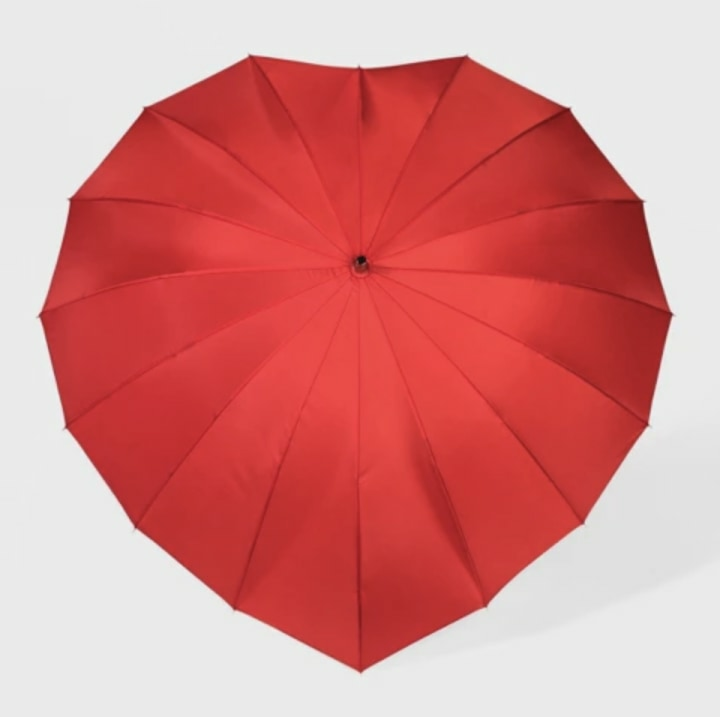 This heart-shaped umbrella adds to the romantic atmosphere of a spring rain shower. This leopard-print jacket proves functional raincoats can also be stylish, according to Bergamotto. 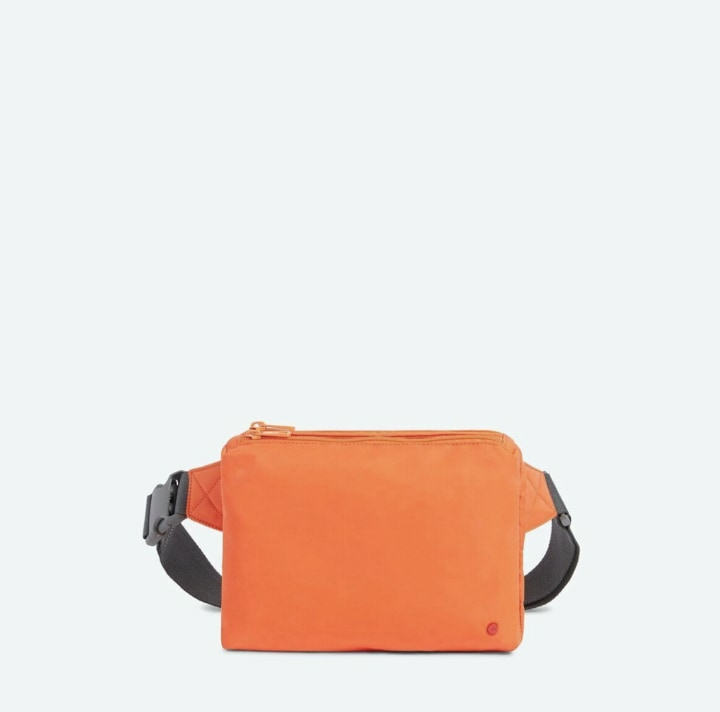 This belt bag is a practical take on one of the year's hottest trends. 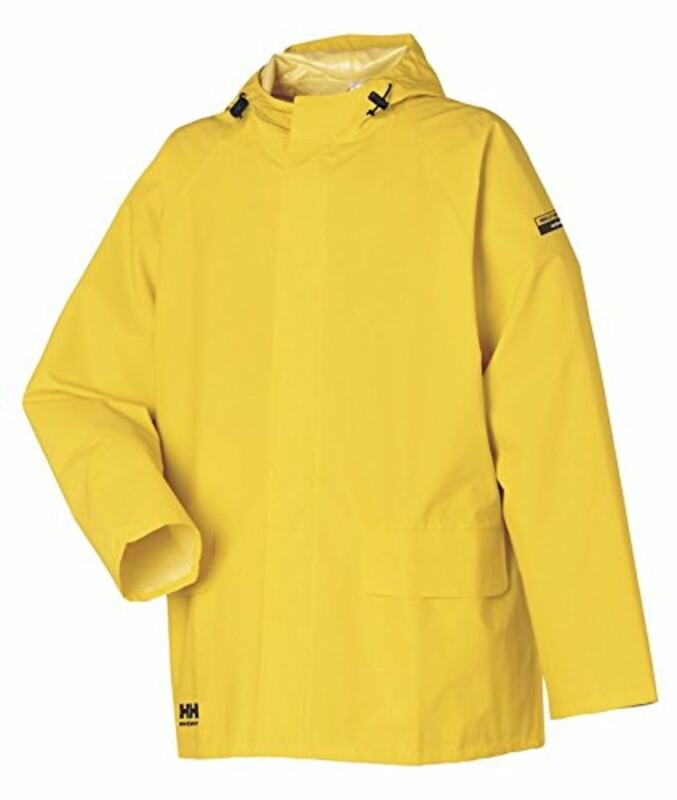 Plus, it's from one of the most well-respected umbrella brands, so you know it'll keep your cargo dry. 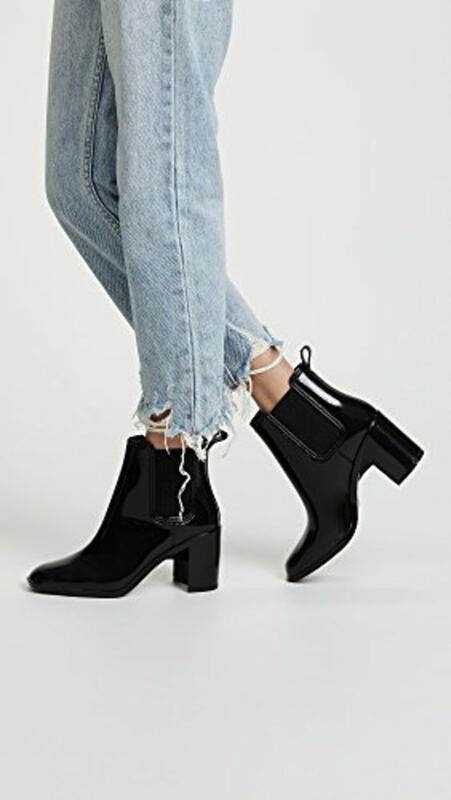 Make rainy sidewalks your catwalk in these stacked-heel booties from Jeffrey Campbell. "Small but mighty, this protective umbrella is totally portable and comes in a dozen fun colors," Bergamotto said. 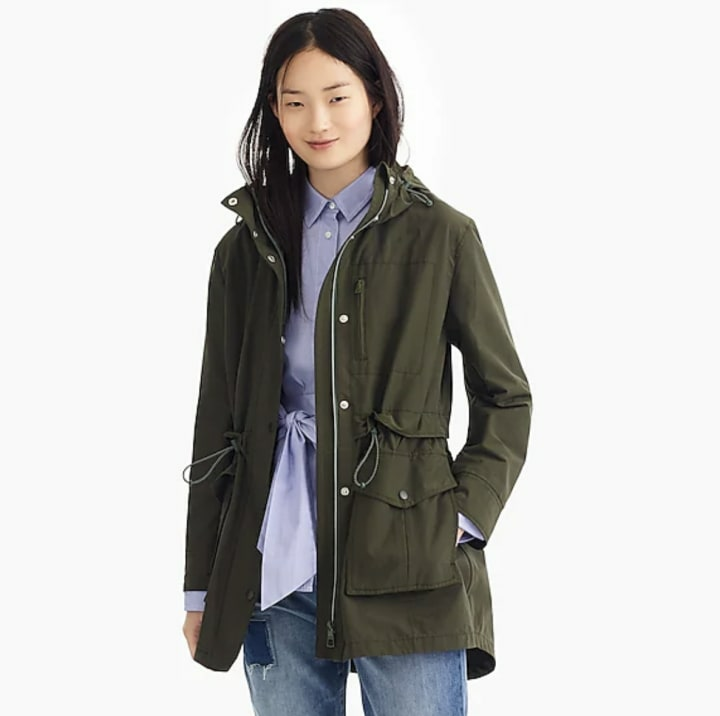 For a trendy take on rain gear, Bergamotto suggested trying a '90s-inspired windbreaker, like this anorak from Aritzia. 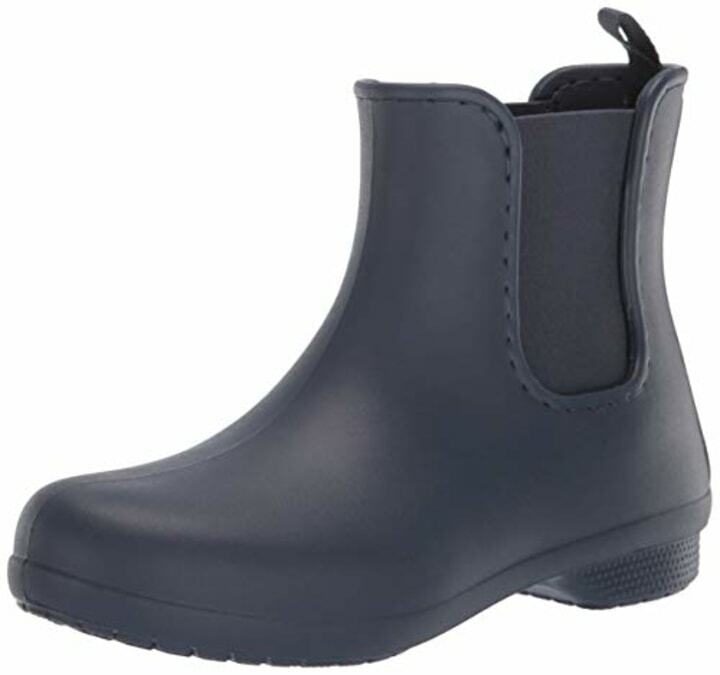 Dual-density foam insoles and waterproof upper fabric make these boots as comfortable as they are practical. 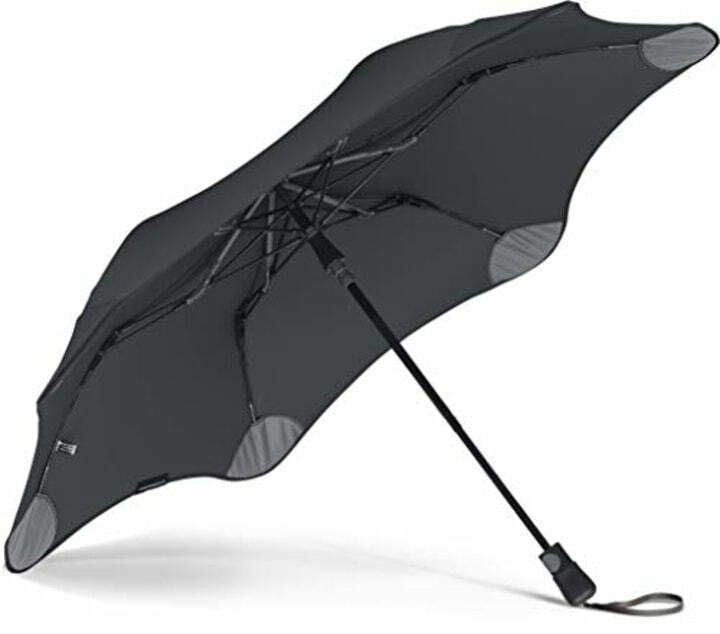 This wind-resistant umbrella is one of the more innovative umbrella designs we've seen in a while. It's meant to be held with the short end in the front and the long end tailing behind you as you walk. "If a 140-year-old company founded by a Scandinavian sea captain doesn’t make you a believer in its keep-you-dry promise, we don’t know what will," Bergamotto said. 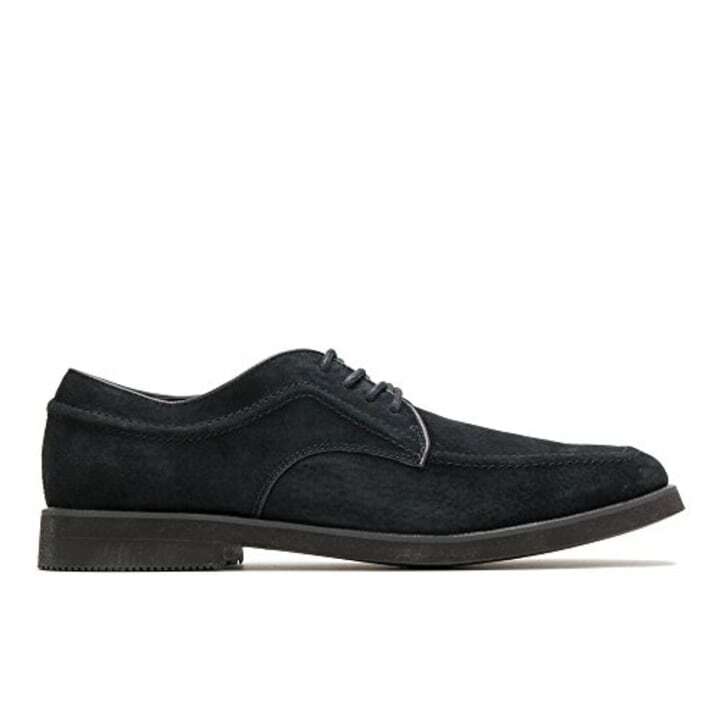 These suede oxfords are actually water resistant, so you don't have to worry about accidentally stepping in a puddle on your after-work commute.